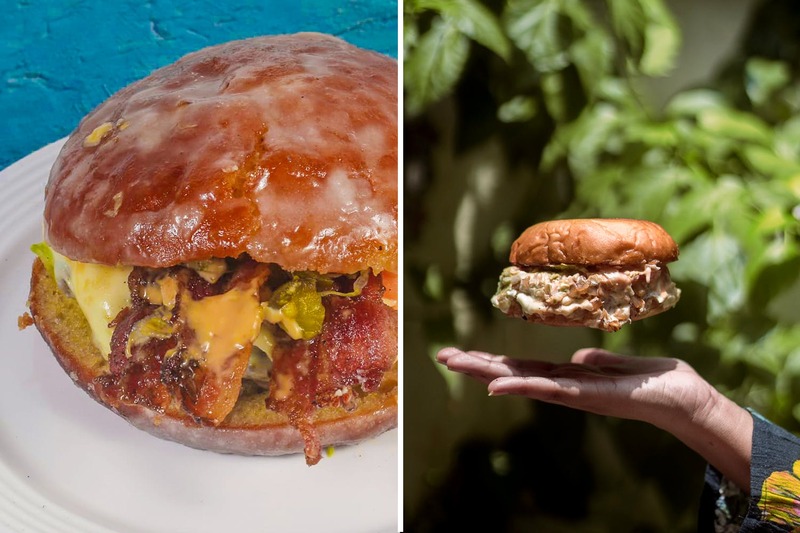 Death by BBQ is launching its second outpost at Malad and it’s starting doling out bacon donuts. We thought you should know. Essentially a cheeseburger with100% beef, jalapenos, melted cheddar, caramelised onion and bacon, The Bacon Cheeseburger at Death By BBQ is pure sin. The sugar-glazed donut is a carb-packed paradise for those who like to indulge. Priced at INR 300, you can also opt for a non-bacon option at INR 250. But hey, who wants that? Death By BBQ is a delivery kitchen that serves everything from juicy pork ribs to beef short ribs. Known for cooking the meat just right, the menu has juicy items like Memphis-style pulled pork, BBQ cheese fries, sandwiches and more. Is it hog day, today? If it’s not, make it one and have a BBQ party!